Several years ago, legislation was drafted requiring airlines to install on each aircraft a secondary cockpit door designed to protect pilots from potentially dangerous passengers. For aircraft that carry passengers, it made sense. But newer all-cargo aircraft have open cockpits without doors or bulkheads. Imposition of a requirement to install “secondary” doors on such aircraft would have made no sense and would have required expensive modifications without any discernible benefit. Such challenges are all in a day’s work for Adam Kokas, executive vice president, general counsel and secretary at Atlas Air Worldwide Holdings Inc. Kokas, who also chairs the Cargo Airline Association and sits on the law council of Airlines for America (A4A), says that overregulation has become a real issue across a number of industries in recent years and aviation is far from being an exception. “Just look at the rules 10 years ago versus where we are now, there are unintended consequences that come with overregulation,” explains Kokas. 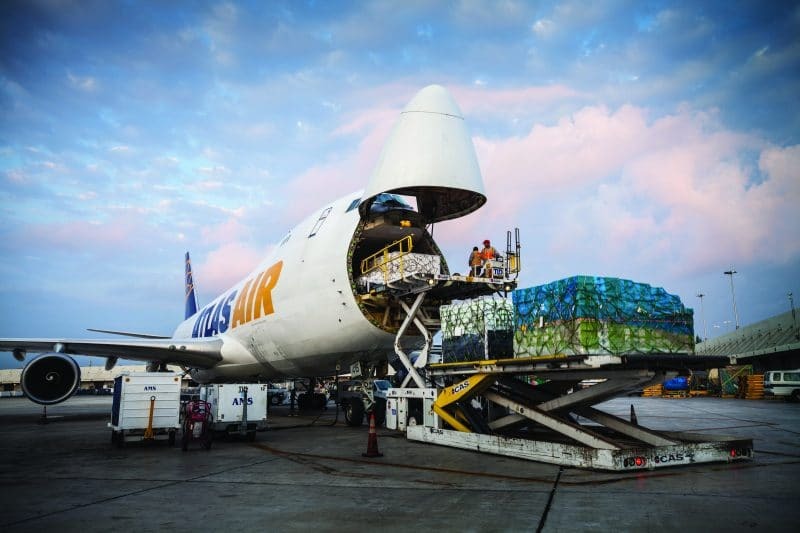 For example, reinterpretation of an FAA rule mandating how U.S. all-cargo airlines secure freight pallets to aircraft frames has prevented U.S. airlines from carrying certain tall shipping containers, shifting the business to foreign airlines. When the double cockpit door mandate was proposed, Kokas swung into action, helping launch an information and education outreach effort to convince lawmakers that the rule would have a negative impact on cargo airlines such as Atlas Air. “Our trade associations and our government affairs and policy group spent time on Capitol Hill and explained the uniqueness of cargo planes versus passenger aircraft,” he says. This case stands as just one example of Kokas’ ability to navigate complex issues in an effort to ensure continued success for the company. 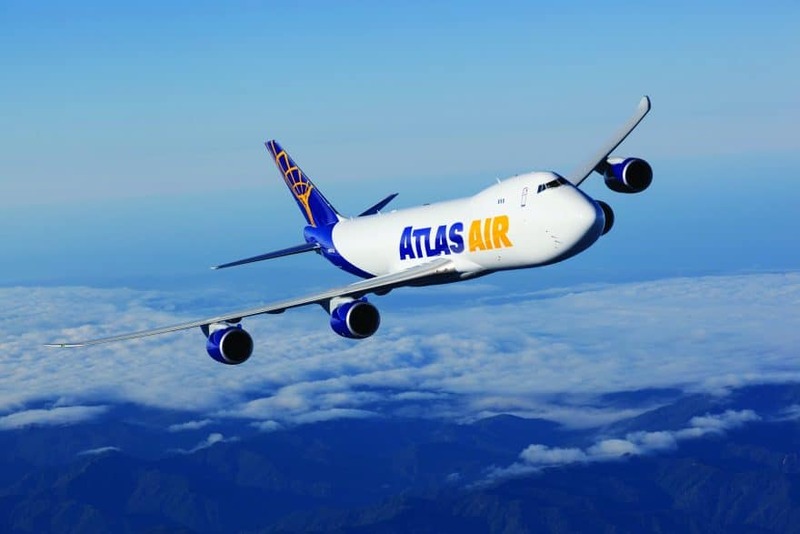 Founded in 1992 and serving customers worldwide with over 32,000 flights per year, Atlas Air is one of the world’s largest air cargo companies. The company’s 81-plane fleet served 426 destinations in 123 countries across the globe in 2015, logging more than 32,000 flights. Kokas joined Atlas in 2006 following time as a corporate law partner with Ropes & Gray and Kelley Drye & Warren. The law firms gave Kokas the opportunity to gain experience in a range of legal specialties, including mergers and acquisitions, general business counseling and corporate financings, as well as corporate board and governance matters. During his time at the firms, Kokas worked extensively with Atlas Air as outside legal counsel. While this gave Kokas the opportunity to gain experience in an industry that had long fascinated him, he found that his interactions with the company left him wanting more. “As a partner at a law firm, a client might send you a signed term sheet and say, ‘We need you to work on the acquisition agreement,’ but I was always interested in how they got to that term sheet in the first place: what led to it and all those things you don’t see, like why it’s good for the company’s business and bottom line,” Kokas says. This thirst for knowledge and desire to work more closely with business leaders and decision-makers led Kokas to take the position at Atlas Air, where the general counsel was also able to pursue a lifelong passion for aviation. “It’s always been fascinating to me, and getting to watch with pride as one of our Boeing 747s takes off or lands is just extraordinary and still an amazing sight,” he says. Having worked extensively with the company before joining as general counsel in 2006, Kokas quickly gained the trust of those around him despite his age. “I was young when I came here, just 35 years old, but coming in and managing a legal team at a large company was something I knew I was ready for,” he says. As outside counsel, Kokas had previously helped negotiate a complicated joint venture with international shipping giant DHL Express and provided legal guidance as Atlas worked to reshape its board in 2004, making him a known quantity within the company. Kokas wears a number of hats at Atlas Air, serving not only as general counsel, but also executive vice president, corporate secretary and chief human resources officer. The HR role, in particular, had been a new and interesting challenge for Kokas, who enjoys the interpersonal aspects of the role. “They are two very different jobs, and having both of them is not typical, but there are many elements that can be quite complementary. From employee benefits, to employment and labor issues; they all have legal and regulatory elements,” he says. The legal and HR departments often find themselves teaming up to tackle new regulatory challenges, such as formulating a policy mandated by government regulations to prevent the illegal trafficking in persons and broader human rights violations. In taking on the HR role, Kokas has found himself considering issues from an entirely new perspective. “There is a lot in HR when you’re dealing with people and their emotional sensitivities, working surroundings, professional growth and financial livelihoods. It’s not that you don’t consider those things as a lawyer, but this role really forces you to always think about the impact of what you’re doing on the employee population,” he says. The general counsel also has Atlas Air’s global heads of regulatory affairs and government affairs and public policy reporting into his office, giving Kokas the opportunity to help coordinate all the company’s industry and legislative advocacy efforts in addition to his roles as the chair of the Cargo Airline Association (CAA) and the Airlines For America’s (A4A) law council. “We face issues on things such as trade restrictions, customs issues, and regulation of goods like lithium ion batteries. There have been incidents at other airlines where lithium batteries have caused fires in and in one case, a plane crash, but you have to balance that with the fact that electronics are premium goods that need to move quickly and can be transported safely with the proper precuations,” he says. Of course, not every industry advocacy issue is so doom and gloom. When American planes began flying into Cuba in early 2016, Kokas was there to ensure that the company did not run afoul of any of the new rules put in place following the repeal of the country’s embargo. The experience turned out to be a highlight in Kokas’ decade with the company, as Atlas was called on to transport gear to Cuba for a free concert put on by none other than the Rolling Stones. “That was an opportunity where we had to determine what we needed regarding protection and following trade rules, but it turned out to be a pretty neat one,” he says. Atlas recently announced a partnership with internet retail giant Amazon that will see the airline increase its fleet by more than 20 percent. This represents an exciting new opportunity for the company, which will have to boost its employee base to keep pace with demand. “It’s going to keep us busy, and it’s important that we maintain our company culture and values throughout the process,” says Kokas. A passionate outdoorsman, Kokas can be found skiing, biking or kayaking on the weekends. While Atlas Air has given him the opportunity to pursue his passion for a career in the aviation industry, don’t expect to find him anywhere near a real cockpit. “I’ve never been interested in learning to fly, but we do have flight simulators to train pilots and I’ve enjoyed experiencing those,” he says. Serving in a role that allows him to meld his passion for aviation with his expertise in business-facing legal matters, Adam Kokas is the perfect fit to lead the legal team as executive vice president, general counsel and secretary at Atlas Air Worldwide Holdings Inc.